Looking for a start-up culture but with significant backing and resources? Want to be part of helping to build a recognised premium brand in ecommerce? Are you a talented graphic designer with a proven portfolio and an ability to work creatively to brand guidelines and deliver within time scales? Then we may have just the job for you! Providing award winning digital end to end ecommerce consultancy services to recognised premium brands, this company is part of a global organisation which fulfilled over $2 billion worth of product on behalf of clients in the last year, and they now have ambitious plans to grow their European operations by 300%. This is a fixed term 12 month contract providing maternity cover and working with both European and US marketing teams, this is a fantastic opportunity to further your experience within the digital sector. If you feel you would like to be part of this journey then apply now for further information! We pay excellent referral fees so if you know of someone who would be suited to this role please get in touch at j.swain@bluefireconsulting.co.uk or call 07956356562. 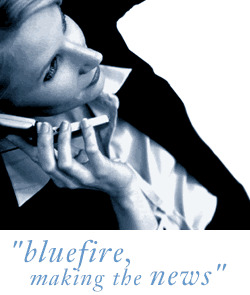 Bluefire Consulting Ltd is a recruitment agency working on behalf of our client and not the direct employer.